Giselle Sexsmith asks how many checks do you receive? 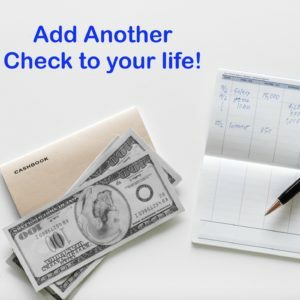 The world is changing and is no longer a single check household? It is very common to have 2 checks per household but what if you could add another? She has over 3 decades of experience in the business and lived a life most dream of. She has endured the ups and downs of the several business cycles and adapted as Nu Skin grew of the years. She has excelled in every enviornment,through every change and has never been more excited to see what this next chapter brings!